Imagine waking up to red, puffy eyes; it surely isn’t a pleasant way to begin your day. Having bloodshot eyes can be discouraging and may leave you searching for ways to reduce the redness. Of course, there are plenty of over-the-counter eye drops available to treat the bloodshot eyes, but not necessarily the best of the ways. If you want safer and more effective ways to treat red eyes, look for natural options that have natural and organic ingredients. Before we move on to the several natural ways that help to get rid of red and bloodshot eyes, let us first consider the reasons for developing red and bloodshot eyes. 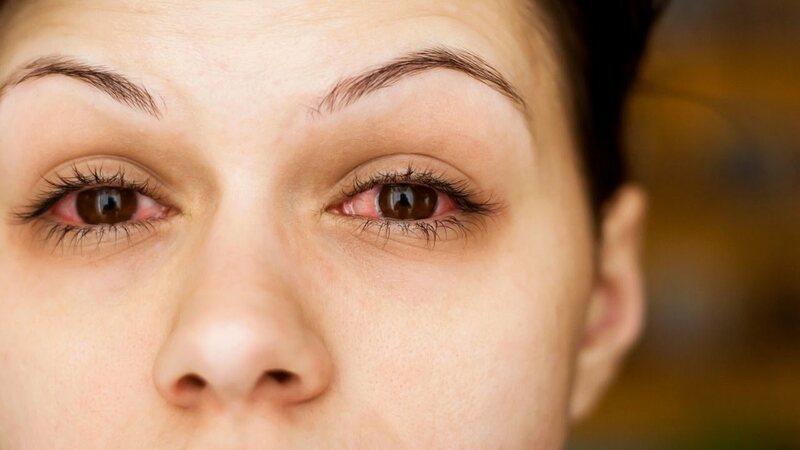 In some cases, a red eye is the cause of an allergic reaction to dust. While, in other cases, climate conditions, excessive computer vision, wearing contact lenses, any eye injuries, glaucoma, and lack of sleep contribute to developing bloodshot eyes. In addition, hormonal changes during pregnancies, smoking, and swimming in chlorinated water can also cause red eyes. The good news is, there are numerous effective ways to treat red eyes. Read on if you want to know the reasons why it is important to know what causes the discomfort, how to treat it, and how you can avoid it completely. Thanks to its cooling and anti-inflammatory properties, cucumbers are a popular choice for treating red eyes. All you need to do is place a cucumber in the refrigerator for 30 minutes and then finely cut it into small pieces. 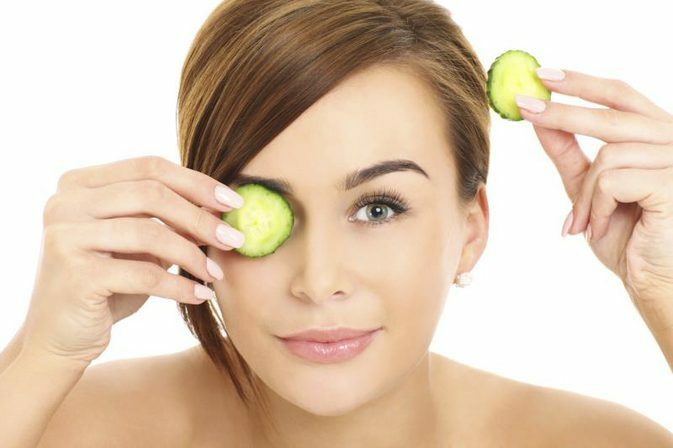 Then, place a slice of cucumber over each closed eyelid for 15 minutes. You will notice a remarkable reduction in the redness of your eyes after just a few minutes. Aside from cucumbers, you can also try tea bags to get rid of bloodshot eyes. 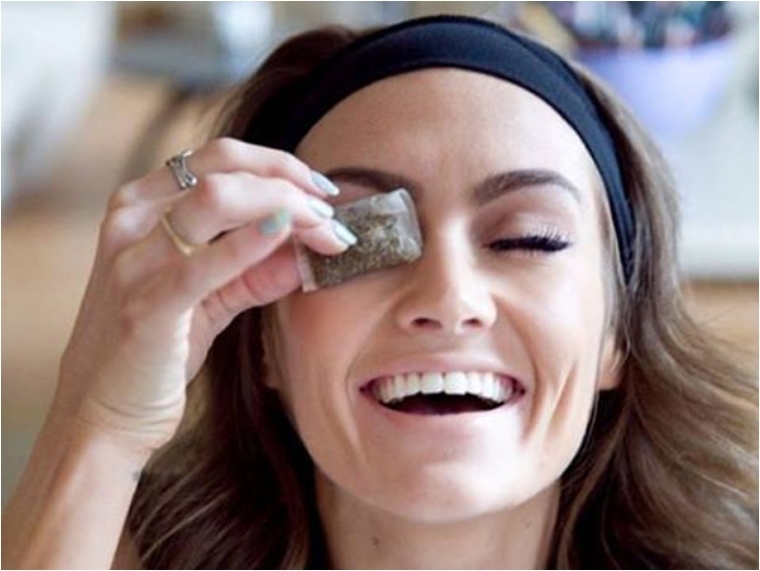 If you haven’t already trashed the used tea bags, then take it from your teapot and refrigerate them for a few minutes before placing them over the eyes. Tea contains tannins which have fantastic anti-microbial properties that play a vital role in reducing eye redness. A heated eye mask can really be incredibly effective in healing red eyes. A heated eye mask aids in providing immense relief to the eyes. It is a good idea to apply a moist, heated eye mask in order to see noticeable results. You will find a lot of brands of heated eye mask on the market, so make sure to read reviews carefully before making a purchase. Look away from your computer monitor every after 20 minutes and focus your eyes on something at least 20 feet away for at least 20 seconds. It is important to allow your eyes to look at things at varying distances to keep them healthy. It is surprising to see how little we actually sleep. Statistically speaking, as per the Center for Disease Control and Prevention, around 35.3 percent of Americans sleep for less than seven hours a day. This means the majority of the Americans are sleep-deprived. When we don’t sleep well, we are doing utmost damage to our organs including the eyes. The number one reason for red eyes is the lack of sleep. Our eyes need an adequate amount of time to be healthy, and lack of sleep doesn’t help. So, if you fancy having healthy and fresher looking eyes, then have a sound sleep for at least eight hours a day. In most cases, having red eyes is not a serious problem, but it can be irritating. They say prevention is better than cure, so it’s best to avoid the causes of this problem in order to keep your eyes healthy at all times. I’ve listed some tips to prevent red and bloodshot eyes. Drink enough water to maintain your body’s state of equilibrium. Staying hydrated is not only good for your eyes, but it is also beneficial for your entire body. Wear goggles when you’re swimming or just staying outdoors to protect your eyes from direct sunlight. Do not rub your eyes because irritants on your hands can cause even more redness and irritation. Avoid going out in a polluted environment. Extremely dry air, smoke, and dust are known eye irritants, so avoid going to a polluted environment to avoid red eyes. Always arm yourself with protective eyewear such as safety glasses if you really need to stay outdoors. Quit smoking. Cigarette smoking is known to be very dangerous to your heart and lungs, but do you know that it can harm your eyes too? Tobacco is a toxic eye irritant which can cause dry, itchy, and red eyes. Avoid drinking too much alcohol. Alcohol makes your blood vessels to clump together which results in red eyes. Be careful in choosing products that you put in your eyes such as makeup and cosmetic products. Some products have too much chemical content that can irritate your eyes. It is very important to practice good hygiene when wearing contact lenses because they can act as a breeding ground for harmful bacteria. Follow your doctor’s instructions about cleaning your contacts to avoid eye infection. Do not overuse whitening eye drops because it contains vasoconstrictors which are chemicals that shrink the blood vessels in your eyes causing them to be redder over time. Red eyes are never easy to deal with. Aside from the fact that it causes pain and discomfort, this condition also affects your appearance. And while you want to improve your look, putting makeup or other cosmetic products may cause more harm than good. Follow the tips I’ve listed above if you want to reduce the redness of your eyes or better yet, to avoid the factors that may cause that problem.